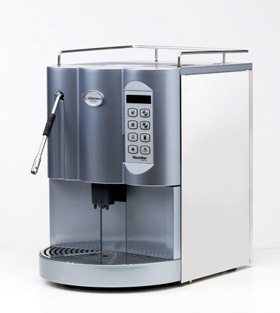 SuperAutomatic machines allow virtually anyone to prepare coffee, espresso and milk-based drinks, quickly and easily, without the need for the professional skills of a Barista. At the touch of a button, a SuperAutomatic machine will fresh-grind and tamp the coffee from one of the 2 bean hoppers for an assortment of espresso drinks. 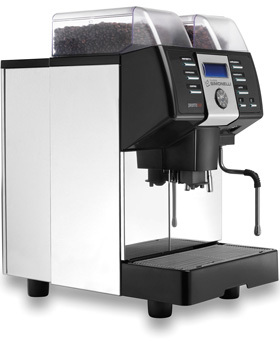 For milk-based espresso beverages, the user can steam milk manually (some models allow for programmed milk texture & temperature) and add it to the espresso by hand (2-step) or the machine can automatically steam and pour the milk into the espresso (1-step). 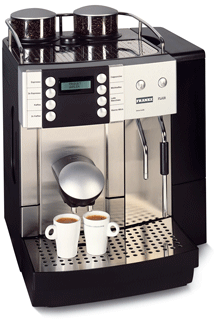 For these reasons, SuperAutomatics are mostly chosen by cafés with high staff turnover, restaurants without a dedicated Barista, and hotels, offices or retail stores.